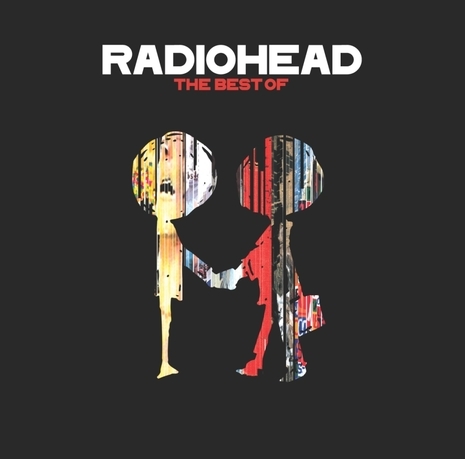 Radiohead: The Best Of is a compilation album of English alternative rock band Radiohead. The album features singles, album tracks and one B-side the band released from 1993 to 2003 while with EMI. The first disc, also available separately, comprises the majority of the band's charting hits, while the second disc concentrates on less commercially successful singles and other tracks. All of the material on both discs had been previously released. As a parallel release, a DVD compilation featured 21 music videos, of which nine were released on DVD for the first time. The compilation debuted at number 4 in the UK album charts, and critical reception to the compilation was generally positive. This is the first released compilation of Radiohead's songs, but it had not been sanctioned by the band; it was prepared by EMI after the band's departure, and Radiohead band members did not participate in selecting the tracks. Nevertheless, according to interviews the band had major input through their career in the choice of most of their singles that were later included on the compilation. A few non-singles which remain regulars in the band's live sets were also included, such as "Idioteque" and "Everything in Its Right Place" from Kid A, their only album without singles. Members of the band have expressed their disapproval of the compilation; they once stated in an interview in 2003 that they would never release a greatest hits collection. Radiohead: The Best of was prepared soon after they decided not to re-sign with the label. In 2008 singer Thom Yorke said, "We haven’t really had any hits so what exactly is the purpose? There’s nothing we can do about it. The work is really public property now anyway... It’s a wasted opportunity in that if we’d been behind it, and we wanted to do it, then it might have been good". The compilation contains only songs to which EMI holds the publishing rights; all of the tracks were recorded before Radiohead's seventh studio album, In Rainbows (2007), as the band ended their contract with EMI in 2004 and signed with other labels for future distribution. The version of disc one for the US contains a bonus track, "Optimistic" (Edit), before "Fake Plastic Trees"; "Optimistic" was played on US radio to promote Kid A (2000), an album without any official singles. The version of disc one for Japan contains a bonus track, "You And Whose Army", after "Everything in Its Right Place".